I know it’s Tuesday and that generally means that there will be a book review coming from me. Yesterday was Monday, which meant that George gave you all a movie review. I’ve decided to throw a big, ol’ wrench into the whole works by giving you a Craig Bacon movie review on book review Tuesday. Yes, I know it’s weird, but if you’ve been one of our loyal readers over the past year, you know we’re all about weird. As many of you probably know, I am a huge fan of the Grateful Dead. 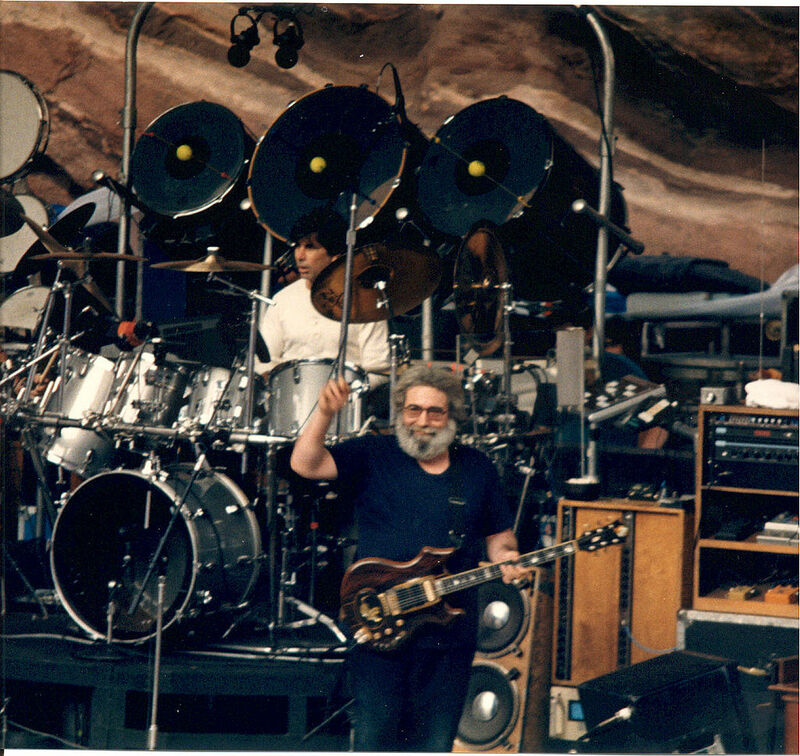 Wendy and I had an opportunity to catch Jerry and the boys several times before the bus came to a screeching halt in August, 1995. We’ve heard rumblings for years that there was a Grateful Dead movie just around the corner. Finally, at this year’s Sundance Film Festival, Amir Bar-Lev’s “Long Strange Trip” premiered. Many of us waited in anticipation for the public release through Amazon Prime on June 2nd. “Long Strange Trip” is a 4-hour documentary on the Grateful Dead, from it’s days as Mother McCree’s Uptown Jug Champions to the juggernaut that sold out stadium after stadium. There is a lot of fresh-from-the vault footage of the band from their earliest days that had laid mostly forgotten in the Dead archives. What we find is an eclectic group of musicians whose differences in music melted together to form a band that beat all the odds against them. There was the reluctant leader, Jerry Garcia, who was a vehement anti-authoritarian, beatnik banjo player. He was joined by Phil Lesh, a classically trained, avant-garde musician who never picked up a bass until Garcia asked him to be part of the band. Bob Weir was just a kid who wanted to be a folk singing cowboy. Ron “Pigpen” McKernan was the gravelly voiced blues man, whose dad was an R&B disc jockey. Bill Kreutzmann, who was once told by a music teacher that he couldn’t keep time, sat behind the drums, later to be joined by world drumming aficionado, Mickey Hart. As a counterculture icon, the Grateful Dead broke almost every stereotype. Considering they were viewed as the center of hippiedom, they also bastions for outlaws. In their early days, they were tight with the motorcycle gang, the Hell’s Angels. There were dangerous moments in their career, including the death of Meredith Hunter at the hands of the Angels, who were hired as security at the insistence of the Dead. They were a band who thumbed their noses at record company management, often eschewing issuing records in order to deliver live performances. The head of Warner Brothers was exasperated with having to deal with the frivolities espoused by the band while they were in the studio. The Grateful Dead simply wanted the freedom of spontaneity and didn’t want anyone else to tell them what they could or could not do. The audience played a big part of the atmosphere of a Grateful Dead show. This movie shows how the relationship was a symbiotic one. The bad freely allowed taping at their shows, although there are examples from their early days that they weren’t big fans of bootleg recordings. After the band exploded in popularity in response to “Touch of Grey,” more and more fans began clamoring for tickets. The band had to move from intimate venues to impersonal stadiums. “We lost touch with the audience. All we saw were a sea of faceless heads,” explained Phil Lesh. The Grateful Dead continued to roll on, garnering larger and larger crowds. Those crowds attached themselves to the idea that chaos was king, damn the rules. Despite entreaties by the band to “cool it,” the Deadheads ignored that rule, too. While all this was happening, Jerry Garcia felt the oppression of being the leader of this ouroboros. He simply did not want the responsibility that came with it. He wanted to play music. The stress of the unfettered adulation by fans as well as the stress of keeping all the families who depended on the band paid, happy, and fed, paid a heavy toll on Garcia. He fell into darker drugs. Bar-Lev did not shy away from these darker periods. Neither did the bandmates who were interviewed for the project. The shadows of this part of the band’s history was thrust into the bright lights of the the movie screen, until finally, we are met with the news of Jerry’s death. The documentary is split into six parts. It is very heavy on the early days of the band, with lots of ephemera from those days as well as homevideos. It was interesting to see the guys in the band as relative youngsters and watch their progression into a band and the recognizable stars we were used to. There were points during the movie that I remarked to my wife that I missed those days of seeing the Grateful Dead. Sure, we’ve seen the various incarnations of the Dead since Jerry’s death in 1995, but nothing comes close to seeing an actual Grateful Dead show. After seeing the movie, I had to listen to some more music. It was that infectious. I know the movie was four hours long, but there were several gaps that I felt that needed to be addressed. They barely touch upon the death of Pigpen. His death had a profound impact on the band. The same goes for Brent Mydland. For the entirety of the 1980s, he was their keyboard player. However, they barely touched upon his tenure at all. Vince Welnick, Tom Constanten, and Bruce Hornsby didn’t even warrant a mention in the film. Additionally, Jerry Garcia’s diabetic coma was alluded to, but nothing much was said about the struggle that he had to go through to relearn the guitar. The resurgence of the band after he got healthy was not spoken of, nor was the exhaustion at the end of 1992. Despite all this, this was a great movie. In my opinion, this was billed as a documentary of the Grateful Dead, but it became a biography of Jerry Garcia in the Grateful Dead. As the reluctant leader of the band, he was the face of the band. That makes it perfectly acceptable. There were moments during the last hour of the film that I was singing along, dancing, and crying all at the same time. I was so angry by the end of the film that despite best efforts, there seemed to be nothing to stop the spiral of depression that eventually drove Jerry Garcia to his death. However, I was happy enough that I danced and sang along with some favorite tunes as it wrapped up. 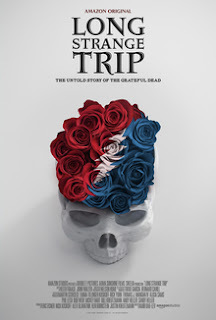 Even if you’re not a fan of the Grateful Dead, this movie should be interesting enough to spend the time watching it. With it being cut up into six “episodes” it is more palatable to the casual fan. “Long Strange Trip” provides a look at a piece of American history as seen from the other side of the page. It is not a straightforward recitation of historic moments, but it is a telling of that history through the eyes of the participants. Craig Bacon is already on the second watching of “Long Strange Trip.” He almost apologizes for this review being nearly as long as an old Grateful Dead show. He has a lot to say, so it could have been longer.